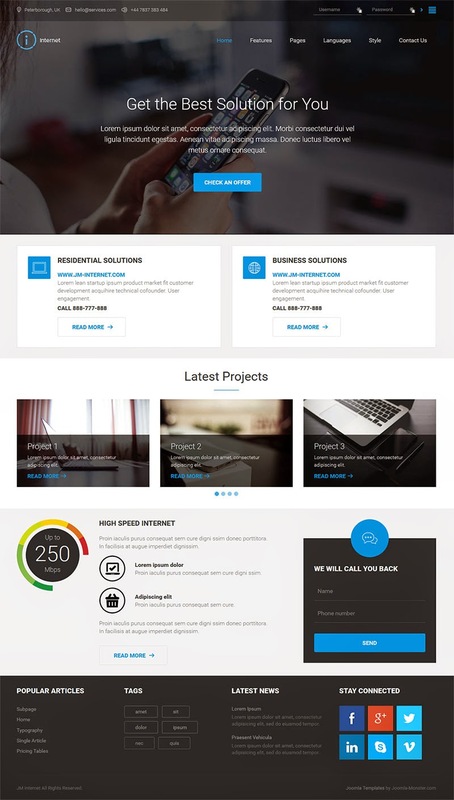 JM Internet is a free Joomla 3 template which was purposed for internet service providers. It can be used for personal or commercial,business websites. You will need an account with joomla-monster.com in order to download the files.